We are 100% sure that there is no one in this word who has not fallen in love with the Star Wars series and Darth Vader was – and is still – one of the most popular character. 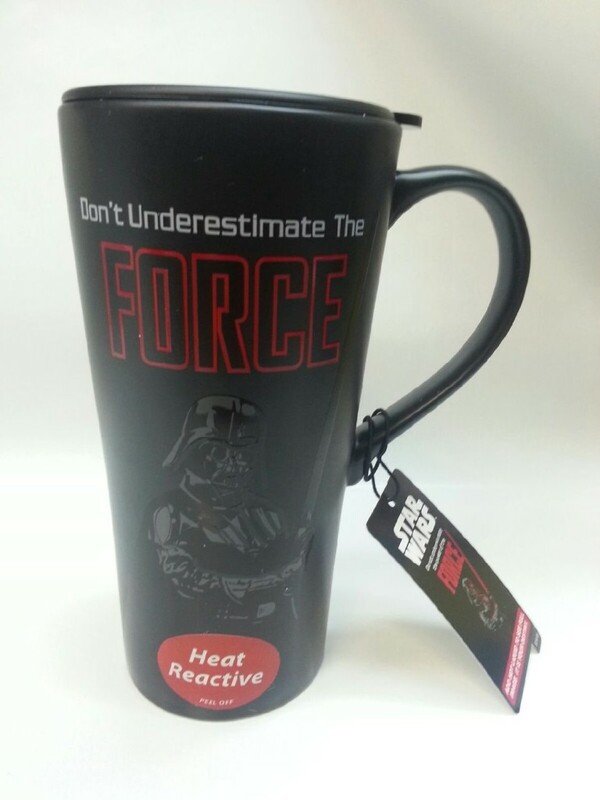 This Star Wars Darth Vader heat reactive travel coffee mug is “the best” way to show you fan love towards a series that rules the hearts of us all. As said earlier, this collectible coffee mug is heat reactive – and what does that mean? That means that as soon as you pour hot beverage (of your choice of course) the lightsaber starts to glow. How cool is that! Read reviews of this Glowing Lightsaber Darth Vader Star Wars Travel Mug!!! As this is basically a travel mug hence it’s made to fit in the cup holders of your car. Furthermore, to make your travel more coffee friendly it can hold up to 18oz of any beverage. The measurements of this Star Wars Darth Vader travel coffee mug are: 5″ W x 6.5″ H x 3.5″ D and weight is slightly less than 3 pounds. Also it needs the delicate touch of your hands for cleaning and is not dishwasher safe. It’s a genuine Star Wars product sold by Hallmark and is really made of top notch quality ceramic. There’s nothing not to love in this super collectible and cool coffee mug.